Original Release: 2002. Platforms: PC, Xbox, Gamecube. Developer: Raven Software. Publisher: LucasArts. Available on GOG.com, Steam. 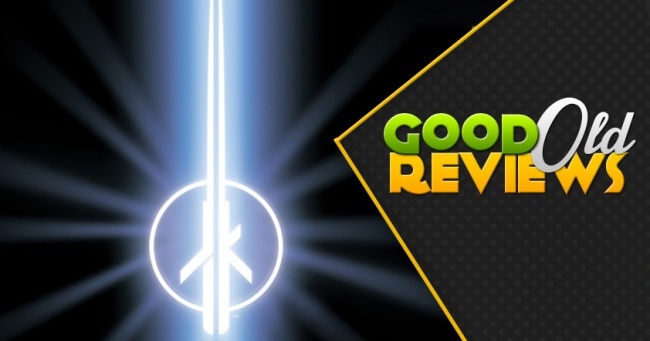 If you assemble a list of the best Star Wars games, you must either feature Jedi Outcast or risk complaints that you missed a gaming classic. 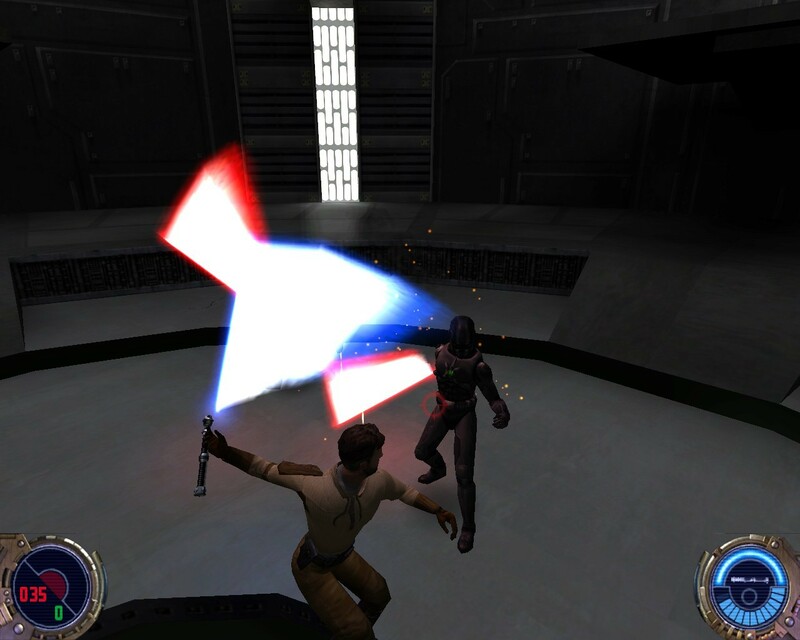 And it's easy to understand why: Jedi Knight II: Jedi Outcast was a masterpiece of the time which simulated lightsaber combat and Force duels. 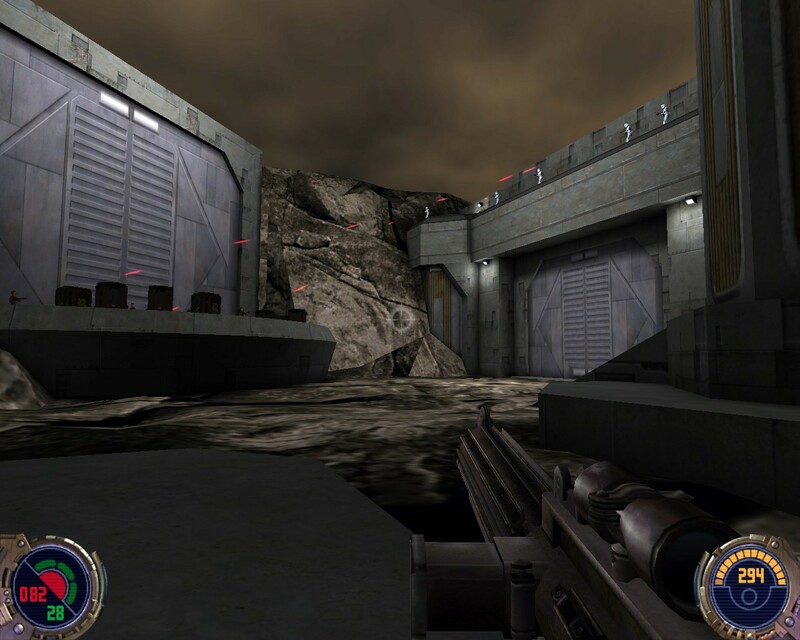 Friends at my high school raved about its graphics and action sequences, making me long for a computer that supported such effects. It's no wonder Jedi Outcast is now a prime candidate for nostalgic memories, especially when the Expanded Universe it took place in ended last year. There's just one problem - Jedi Outcast has not aged well. In fact, after playing it for myself, I'd say it's aged less gracefully than many Star Wars games this column has reviewed. 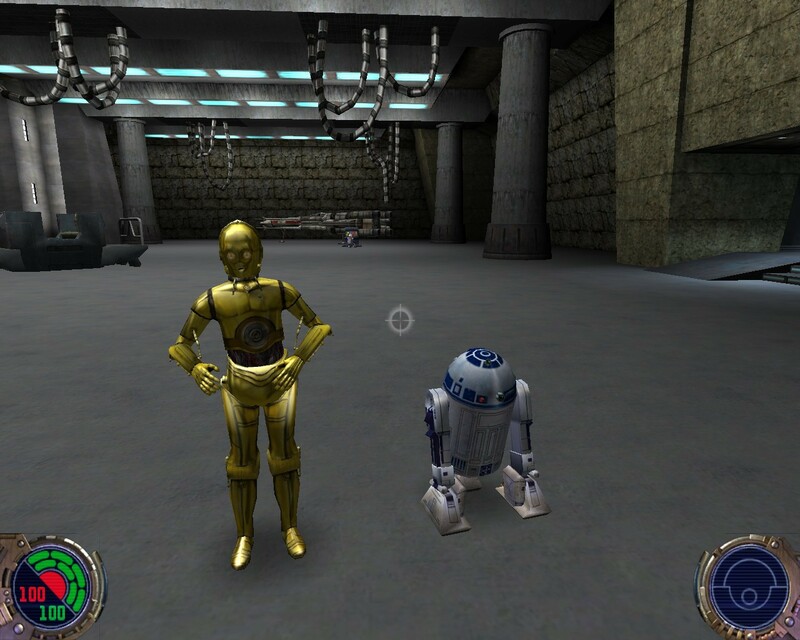 Before you take up your pitchforks and lightsabers, I'm not saying Jedi Outcast is a bad game - far from it. But I suspect the overwhelming nostalgia comes from how groundbreaking it felt in 2002, not design choices which stood the test of time. 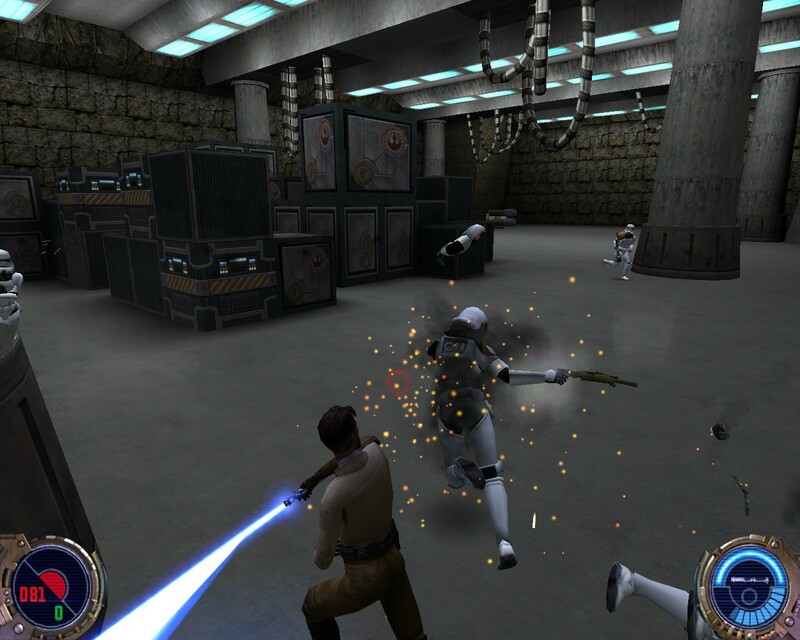 Jedi Outcast's puzzles, shooting mechanics, and Force powers are awkwardly forced together in frustrating ways, especially for players who lack the learned patience of PS2-era gamers. 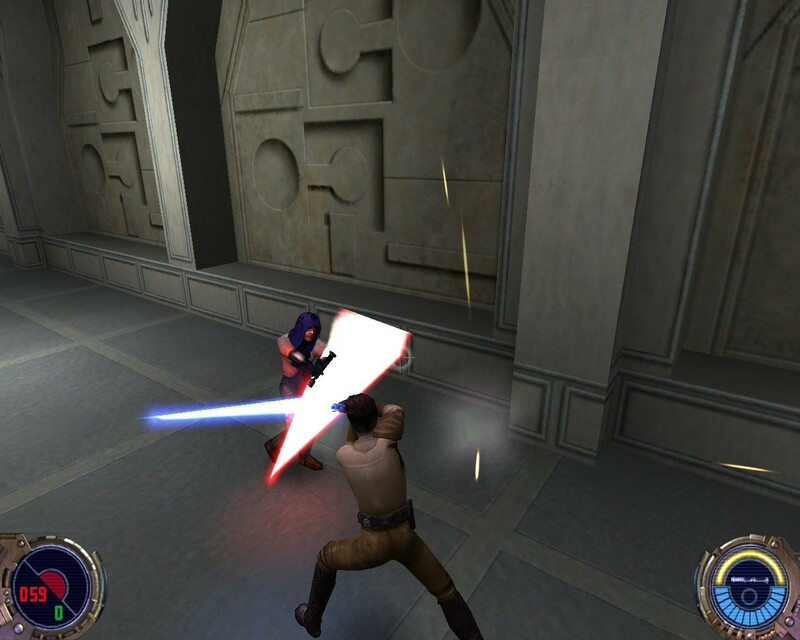 That said, Jedi Outcast does become a solid Jedi combat sim once you've developed your Force powers. It also features some great locations from Star Wars' films, and a soundtrack that grounds you in the galaxy far, far away. The question is whether new players can get past Jedi Outcast's flaws and enjoy the strong points, just like fans did thirteen years ago. Star Wars Jedi Knight II: Jedi Outcast (which continues Jedi Knight's tradition of weird overlapping sequel titles) takes place eight years after Return of the Jedi. 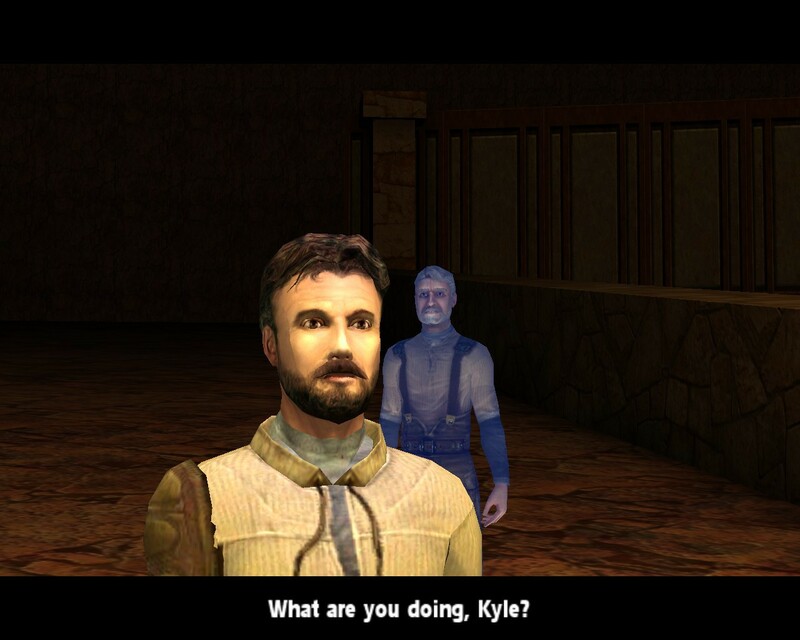 Former Jedi Kyle Katarn has severed his connection to the Force after nearly joining the Dark Side, and now continues his Dark Forces-era mercenary lifestyle. But when Kyle investigates new Imperial Remnant activity, he is defeated by a pair of Dark Jedi who proceed to murder his partner, Jan. Plotting revenge, Kyle reactivates his Force powers and journeys across the galaxy, encountering personalities from the Star Wars films along the way. 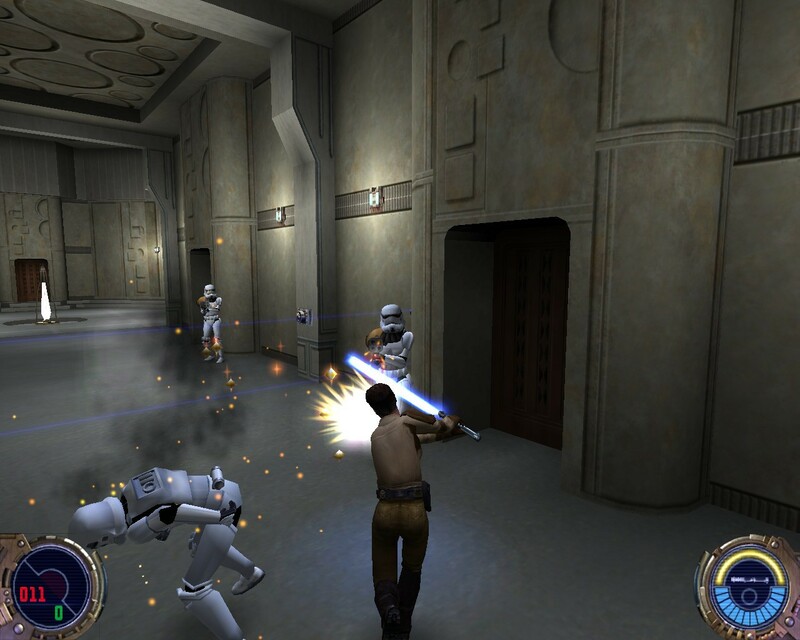 Jedi Outcast's gameplay uses a combination of blaster and lightsaber-based combat. 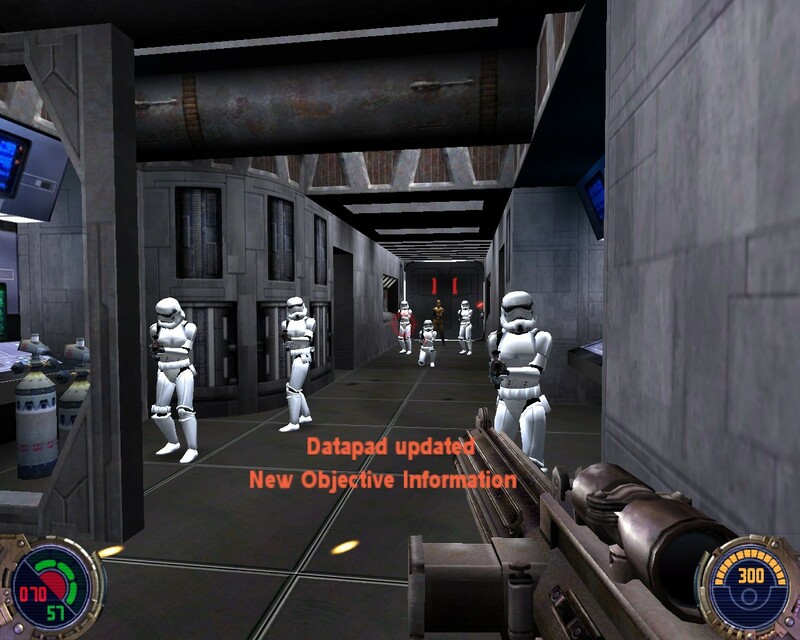 The first five levels revolve around traditional FPS weaponry, letting you collect blasters, grenades, and ammunition while assaulting Stormtrooper squadrons. You'll even manage those recognizable health and shield meters common for shooters of this generation. But just as you come to grips with the mechanics, you meet a Dark Jedi boss who is impossible to beat with any of your weapons. From that point on, Kyle's Jedi training starts coming back to him. 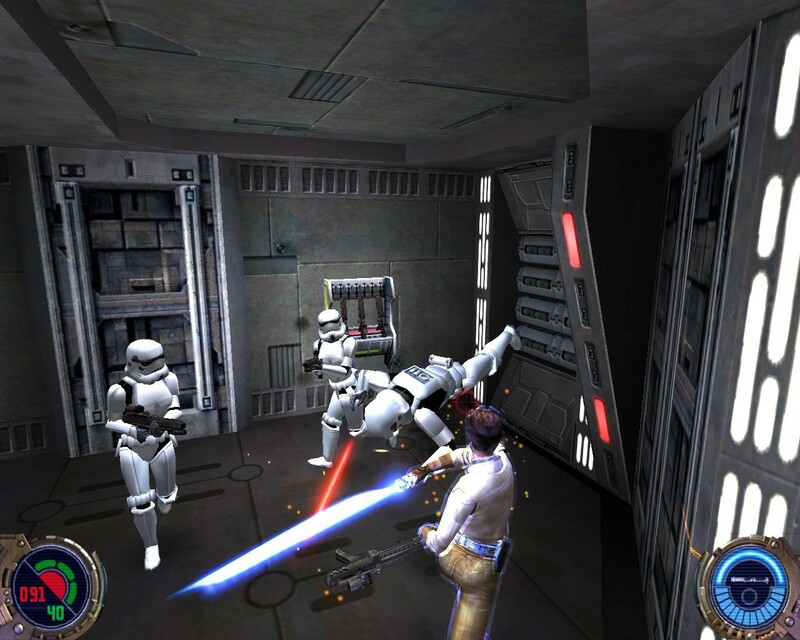 You'll receive a lightsaber that redirects incoming blaster fire and deals heavy damage to opponents. On top of that, subsequent levels unlock Force abilities which make Kyle even more powerful. He can push objects with his mind, jump exceptionally high, and move at increased speeds. Eventually, he'll use mind control on NPCs and shoot lightning from his hands. 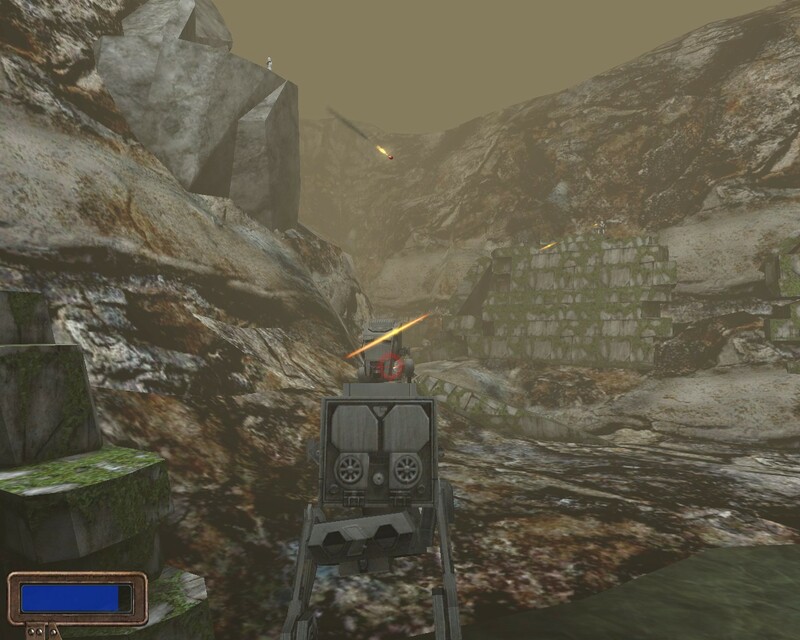 And if that's not your thing, you can always press a button and return to the FPS blaster style at any time. On paper, I love what Jedi Outcast aims for. 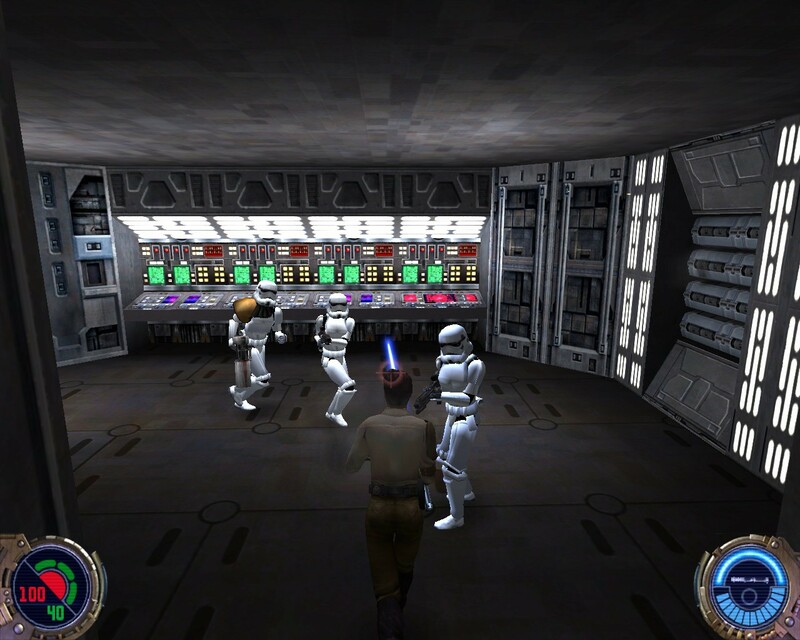 Players are supposed to strike a balance between expanding Force powers and fast-paced blaster battles, coming up with different combinations for different challenges. 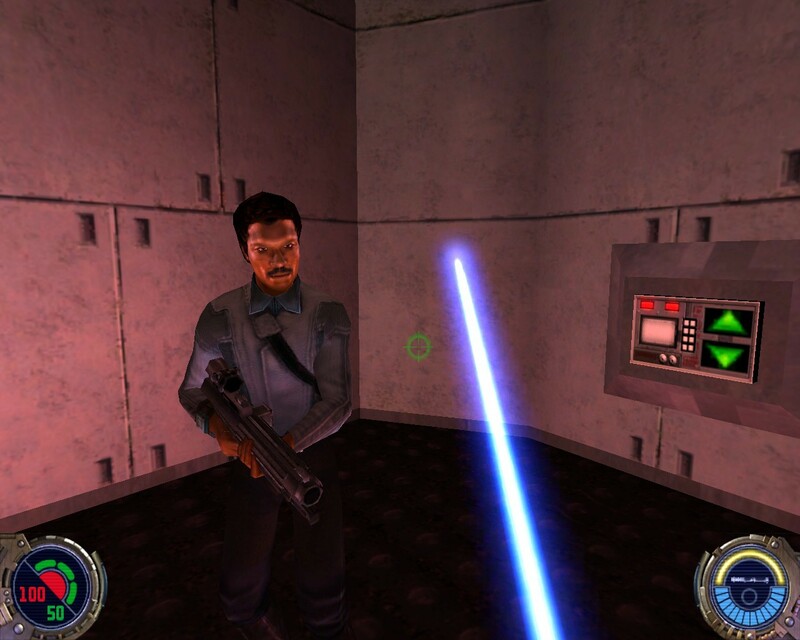 Why choose between Luke Skywalker or Han Solo for your video game - Kyle Katarn does everything they can at once!